TIA CHAPMAN PHOTOGRAPHY: LDS Bride Blog Feature! Tyler & Lyndsie's wedding day. LDS Bride Blog Feature! Tyler & Lyndsie's wedding day. 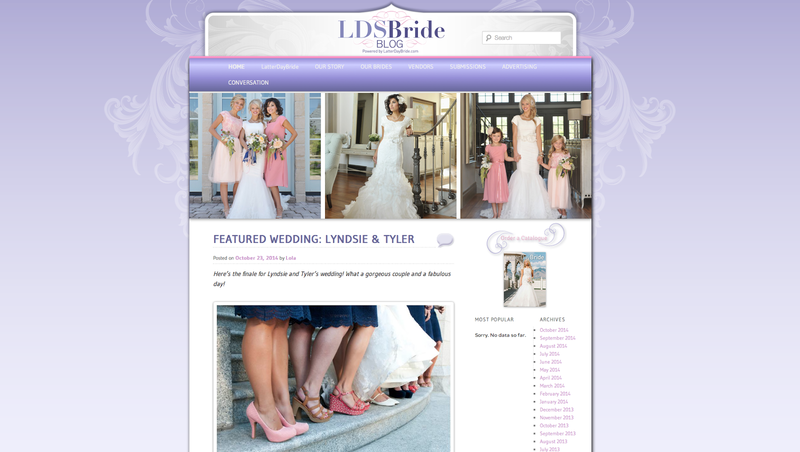 Tyler & Lyndsie's wedding day is my latest LDS Bride Blog feature! See the post here.